Neither a ship nor a plane but a flying-boat! 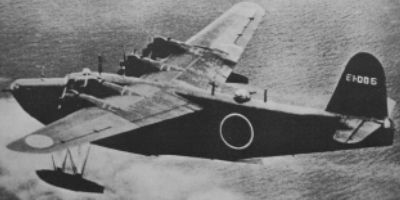 The Kawanishi H8K1’s allied code name was the Emily Flying Boat. Built by Kawanishi Aircraft Company she hails from August 1941. With a 38m wingspan and 4 Mitsubishi Engines she was capable of 460mph with a range of 4,500nm. Today she lies on a flat bottom and is quite broken and small, she makes a good third dive in 16m of water.